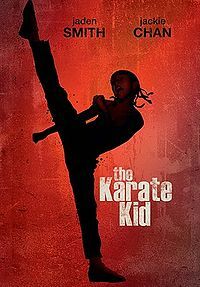 Remake of the 1984 classic of the same name, The Karate Kid tells the story of Dre Parker and his mother as they move to Beijing from their home in Detroit to start a new life. Dre quickly becomes friends with Mei Ying but Cheng and his friends are adapt in martial arts and keep the two apart, beating up Dre. The maintenance man in Dre’s building, Mr. Han saves him from a beating, and attempts to help the boy by talking to Cheng’s karate instructor to leave Dre alone. Instead Dre must learn karate from Mr. Han and fight for respect and friendship. Remaking a classic film is never and easy task, but when the remake features none of the original characters from the source material, you have to wonder what the studio execs were thinking other than cashing in on a successful franchise. Jaden Smith simply lacks the connection that audiences had with Ralph Macchio back in the 1984 iteration. The back story for the Parkers is never explained, why do they have to move to Beijing? This is never explained, and leaves the movie feeling flat. The only thing that saves this film is Jackie Chan’s performance, which is stellar and should be a highlight in his long and successful career. 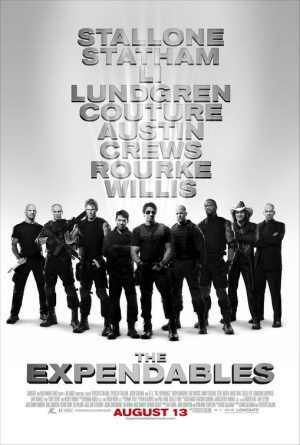 Entertaining enough, but simply cannot be compared to the original. 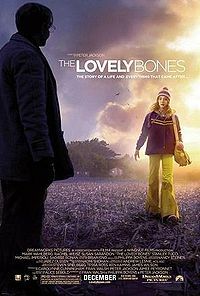 Based on the best selling novel of the same name, The Lovely Bones tells the story of Susie Salmon, a fourteen year old girl that is raped and murdered. Stuck in-between death and the afterlife, Susie watches as her family deals with her disappearance. Her father becomes obsessed with finding out what happened to his daughter, and Susie is stuck between wanting vengeance towards her killer and wanting her family to move on from their tragic loss. When watching The Lovely Bones you can’t help but be captivated by the story that unfolds on the screen, yet the constant mood swings between a light-hearted movie and a dark thriller offer enough juxtaposition to pull away from the immersion. There are some real stand out moments in this movie, yet the constant changes of tone and themes simply don’t mesh well with the source material. Stanley Tucci’s performance is outstanding, and Mark Wahlberg has his shining moments. The Lovely Bones is certainly worth a watch, yet it could have been so much more.